“Back Heathrow” is the “astroturf” group set up, managed by and (probably entirely) funded by Heathrow airport, to promote its 3rd runway, largely by claiming it has huge local support. Their accounts show that in 2017 “Back Heathrow” had current assets of £1 million (£1.24m in 2016). They have Net Worth of about £951,300. They complained in January 2017 about how much money Hillingdon Borough had spent in trying to defend its residents from the adverse impacts of an even larger Heathrow airport. Back Heathrow is complaining again. It has got figures from Hillingdon Borough Council, through FoI, for what it has had to spend to oppose Heathrow’s plans. (Not being a council etc, Back Heathrow cannot be FoI-ed). It says Hillingdon has spent £1.4 million of taxpayers’ money on this, between 2007 and now. In fact Hillingdon has spent about £1.12 million, as they received some funding towards the expenses, from other councils. Meanwhile, it is known that Heathrow spent £1.25 million advertising on Transport for London between June 2016 and 2017. It is also known that, between July 2015 and January 2017, the DfT spent over £3.8 million on external firms such as financial advisers N M Rothschild & Sons, law firms DLA Piper UK and Allen & Overy. No wonder local councils are given little alternative to spending money, to counteract this. A London council has spent more than £1.4m fighting plans for a third runway at Heathrow. Hillingdon Council spent the money on legal challenges and funding local campaign groups, newly released figures have revealed. The council’s leader previously said it would provide funding for “however long it takes to win this battle”. “This is all money that could have been spent on crucial local services,” pro-expansion group Back Heathrow said. The expenditure was made public after Back Heathrow made a formal complaint to the Information Commissioner that Hillingdon Council had refused to disclose its finances. Back Heathrow is a campaign group launched with funding from Heathrow Airport. [See details of this funding from Heathrow below]. Hillingdon – along with Richmond, Wandsworth and Windsor and Maidenhead councils and Greenpeace UK – failed in an attempt to challenge the decision to build the runway at the High Court in January 2017. The government officially backed Heathrow expansion 18 months later. [The attempt did not “fail”. It had to be delayed, as it was not possible to challenge the draft Airports NPS, but only when it was finalised and published by the DfT. The legal challenges will now be heard in Court in March 2019]. Between January 2007 and August 2016, in the lead up to the legal battle, Hillingdon Council spent £827,000 on legal services, campaigning and community engagement. Parmjit Dhanda, Director of Back Heathrow, said: “Councillors didn’t want local residents to know £1.4m of their hard earned cash was being wasted, whilst local services were being cut to the bone. Hillingdon Council has been approached for comment. 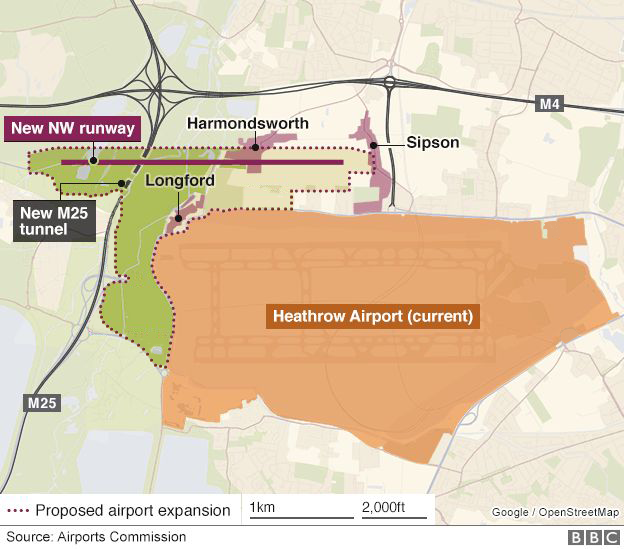 Heathrow airport’s spending on lobbying for, and promoting, its 3rd runway plans…?? Heathrow has spent a huge amount of money, in trying to promote its runway. It has endless advertisements in newspapers, magazines, all sorts of publications, on billboards etc etc. It has spent a lot on wining and dining local business people and politicians across the country, trying to get them to back the runway. Often the “carrot” is dangled, that the area might get one of Heathrow’s 4 possible construction hubs. They spend a lot a party conferences, having their “Heathrow lounges” with free drinks etc, trying to influence politicians etc attending. It is not possible to work out the cost of all these activities. It would be many millions of £s over the past few years. For in formation, these are the accounts of “Back Heathrow”, the supposedly (but not in reality) local group backing the runway. It is entirely funded by Heathrow airport, in order to press for the 3rd runway. The “astroturf” group (not actually a real community group) Back Heathrow gets its funding from Heathrow. It refuses to say how much money it gets from the airport. John Holland-Kaye has in the past also refused to say how much it contributes. Back Heathrow is complaining that Hillingdon borough has spent a lot of money on its campaigns against the 3rd runway. This is money that the borough is being forced to spend, because of the activities of Heathrow, against which it has to defend its residents. The account for Back Heathrow show it has around £154,000 in the bank; it has assets of around £653,000; it gives its net worth as about £482,000; its current liabilities are shown as – £171,000; and it only has one employee, Rob Gray. No activity is reported, and no turnover is reported. Back in December 2014 the Sunday Times revealed that Back Heathrow had had at least £100,000 from the airport, but no details are ever given. Back Heathrow says, rather bizarrely, that ‘It would not be fair to publish the amounts given’. Their next accounts will be published on 31st March 2017. Being private companies, the sums cannot be extracted through FoI. Hillingdon Council makes its figures public, and has defended its campaigning, saying it is representing the views of residents. The Government has been slammed for spending an average of £10,000 per day on consultants and law firms to decide if a third runway should be built at Heathrow. The Department for Transport, headed up by under fire minister Chris Grayling, has shelled out more than £3.8million on external firms since the Airport Commission published a report in July 2015, naming Heathrow Airport as the best location for a new runway. A Freedom of Information request by the Press Association has revealed that the lion’s share of the money has gone to financial advisers N M Rothschild & Sons, who filed four invoices totalling £1.46million, which were paid between July last year and October 2016. Law firm DLA Piper UK was also paid £1.09 million between August 2015 and October 2016, while Allen & Overy received £152,955.60 between January and September this year. Professional services firm Ernst & Young filed two invoices worth £138,765 for consultancy work, which the Government made good between March and August 2016. Liberal Democrat MP Sarah Olney, who stunned the Tories by overturning billionaire Zac Goldsmith’s 23,000 majority in the Richmond Park by-election, described the sums as “eye-watering”. She said: “These are eye-watering sums, over £10,000 a day, to pay consultants for an airport people don’t want. Ms Olney added that it is “patently clear” that the Conservative Government had frittered away taxpayer’s money despite deciding “long before it was going to be Heathrow whatever the evidence”. A third runway at Heathrow Airport was given the go-ahead by the Government in October after proposals to expand its existing runway, or build a second runway at Gatwick, were rejected. The new runway could be in operation by 2025, but is expected to face fierce opposition from MPs. Foreign Secretary Boris Johnson previously described the project as “undeliverable” and claimed it was likely to be stopped, while Education Secretary Justine Greening said she was “extremely disappointed”. A public consultation will be held on the impact of the third runway before the final decision is put to MPs for a vote in the winter of 2017/18. It was revealed last month that parliamentary support for a third runway at Heathrow has grown, according to research commissioned by the airport. Almost three quarters (74 per cent) of the 130 MPs polled between October and November say they would back the third runway project. A spokesman for the Department for Transport said: “The Government’s decision to back expansion at Heathrow Airport was one of the biggest boosts to the UK’s transport infrastructure in a generation, estimated to bring economic benefits to passengers and the wider economy worth up to £61 billion. “Given the scale and complexity of airport expansion schemes, as well as the various statutory requirements, including those under the Planning Act 2008, it is only right that we should seek expert advice to make sure the Government’s analysis is of the highest quality and fully considers all options and any constraints. Heathrow and Gatwick airports have spent £1.7m and £1.6m respectively on their runway expansion advertising campaigns across the London transport network. This information was received in written answers received by London Assembly Member Darren Johnson to questions submitted to the Mayor of London. Darren Johnson’s written question submitted at 21 May 2015 Mayors Question Time. Answers received 27 May. How much has the Heathrow Airport expansion campaign spent advertising on the tube system or other parts of the TfL network? In total, this campaign has spent £1.7m on advertising across the TfL network (from the start of 2012 until April 2015). How much has the Gatwick Airport second runway campaign spent advertising on the tube system or other parts of the TfL network? In total, this campaign has spent £1.6m on advertising across the TfL network (from the start of 2014 until April 2015). Campaigners against a new runway at Heathrow or Gatwick, have attacked the multi-million ££ advertising and PR campaigns being mounted by both airports for their expansion plans. They say this huge expenditure is “subverting democracy” and drowning out discussion of alternatives – and the basic question of whether a runway should be built at all. A coalition of environmentalists and senior MPs has written to Sir Howard Davies, the head of the Airports Commission, to say the two airports are exerting “unfair influence” because of their marketing power and huge budgets for advertising and PR. There has been a blitz of large adverts in the national press and billboards or posters in prominent places, including Westminster Tube station and also close to the offices of Airports Commission. Heathrow has placed billboards as far afield as Newcastle and Manchester. One media buying agency told The Independent that the cost of both campaigns was likely to have exceeded £7m. Heathrow has also funded an astroturfing campaign called “Back Heathrow”, and repeatedly refused to say how much it has spent – and continues to spend – on this. Posted: Wednesday, November 7th, 2018. Filed in General News, News about Airports, Recent News.